Since early 2016, I became a fan of organic products, especially skincare and makeup. Since then, I have always been on the look out for organic brands — particularly, local indie brands. So, when I attended Craft MNL’s Product Photography Workshop with Jery C. Garcia, I met the founder and proprietress of Aimee’s Soaps, Amy Colanta, I just had to ask about her brand and products. After the workshop, I asked for her business card and contacted her the day after to order some of her bestsellers to try and review them here on my blog. Surely enough, she was very accommodating! I ordered 3 of the bestselling products: OMG! Oh My Gourd Acne Fighting Soap, Premium Olive Avocado Soap, and Premium VCO Soap. It took me a long time to post this review because when it comes to skincare products, I like finishing the products first so that I can experience the full effect — both initial and long term. Now that I have used them all, I am ready to give my thoughts. I was mainly interested in this one because I have never heard of bitter gourd (ampalaya) being used to make soap! Also, I’m always on the look out for anything to help with my acne. What I love about this soap is that unlike most acne fighting soaps, this one does not dry out my skin. It’s very gentle on the skin; but, tough on fighting breakouts. This dries up my active breakouts quickly without stripping the rest of my skin with its natural moisture. It helped so much in controlling my back and chest acne! Also, don’t worry about the scent! It actually has a nice, mild, fresh scent. This retails for PHP 100 for 100 grams of product. Overall, I highly recommend this to sensitive, acne prone skin. It also worked well with my dry-combination skin! If you have dry skin like me, this soap will really be a skin saver! This retails for PHP 80 for 100 grams of product. Being a heavy user of makeup, I usually need to double cleanse my skin. I personally use virgin coconut oil to melt the makeup off first, and wipe it off with makeup remover wipes or a damp towel. Then, I go ahead and cleanse my face with a facial cleanser or soap of my choice. 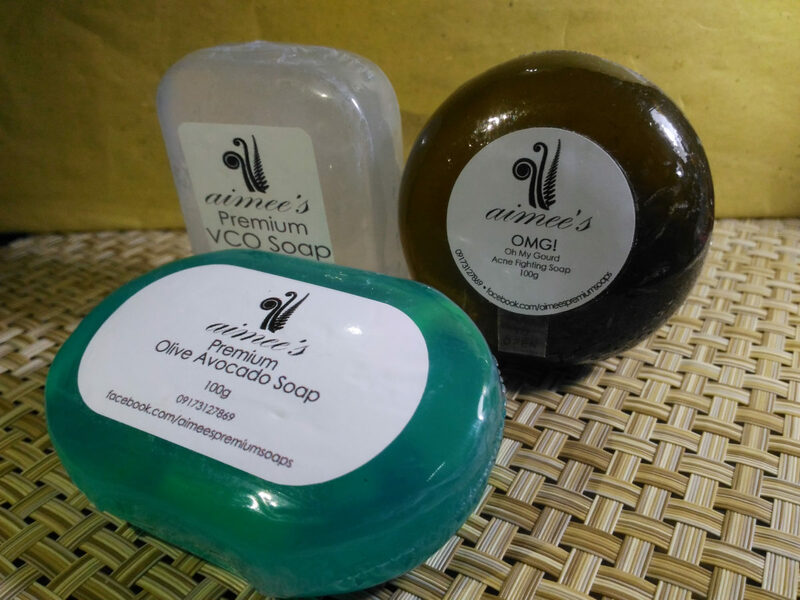 With this Premium VCO Soap, my facial cleansing routine has been cut to just one step! Trust me, this stuff can melt off even my stubborn waterproof mascara and eyeliner. Bonus? It leaves the skin feeling soft and moisturized! I love, love, love this one! No need for special makeup removers anymore! And for the price of 0nly PHP 70 pesos for 100 grams? It’s super sulit! A little goes a long way. To place your orders, here is a direct clickable link to their order form! Disclaimer: This is not a sponsored post. I am not paid to review and promote the brand and products. I paid for the products with my own money and the review is based on my own personal experience. The products that work for me may or may not work for you. Next Next post: Maximize Your Splurge: How to get the best value for money on expensive products.